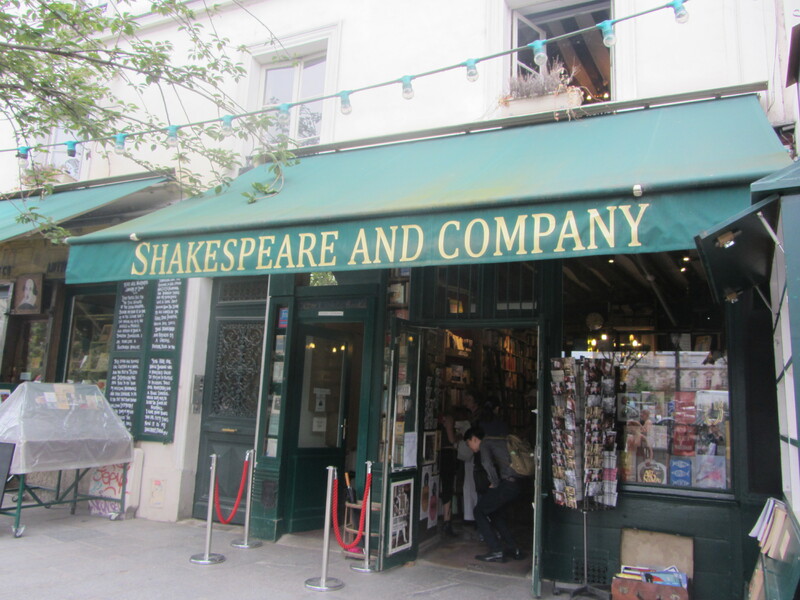 Shakespeare and Company was at the top of my Places to Visit in Paris list. This bookstore has been featured in numerous movies, such as Julie and Julia and Midnight in Paris, and has an illustrious history. 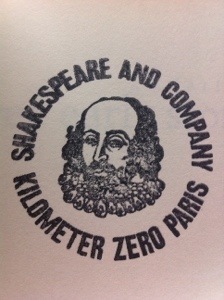 Shakespeare and Company is in fact the name of two bookstores. The first was opened by Sylvia Beach in 1919 at 8 rue Dupuytren, and then moved to a larger building at 12 rue de l’Odéon in 1922. 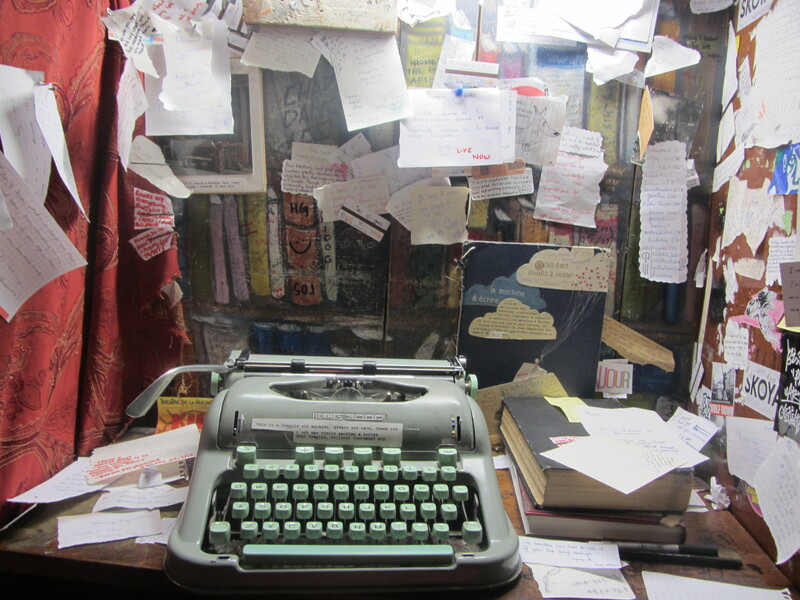 This bookstore was popular with writers like Ernest Hemingway, Ezra Pound, Ford Madox Ford, and James Joyce. However, this bookstore closed in 1940 during the German occupation of Paris and never re-opened. An American ex-serviceman named George Whitman opened the second bookstore bearing this name in 1951 at 37 rue de la Bûcherie. Originally, it was named “Le Mistral,” but was renamed Shakespeare and Company in 1964 as a tribute to Sylvia Beach’s bookstore after her death. Finding this bookstore though was quite tricky. I ended up wandering the Latin Quarter, Saint Gérmain des Près, and even picking up a Despicable Me Minions puzzle in the process of trying to find it. When I finally found it, it turns out I had essentially passed it at least three times, but the road it is on is so inconspicuous that I kept walking by it. So for any of you who go to Paris and want to see this bookstore, here’s a really simple way to find it: stand with your back to the front of Notre Dame, walk forward towards the road, turn left and cross the bridge, then turn down the first little road you see called Rue de la Bucherie; from there you will see the green awnings. This bookstore has two floors. The ground floor has new books available for purchase, while the upper floor has books available to be read in the store but not bought, along with couches and chairs for reading, and an adorable little nook with a typewriter that visitors have left notes and quotes in. Not to mention there appears to be a resident cat that lives on the upper floor of the store. It doesn’t get much better than that. Along the right side of the stairs on the other side of the banister are diagonal shelves with more books sitting on them, along with various box sets of postcards, such as those with previous covers of The New Yorker on them. Another thing that makes this bookstore unique is that any books purchased there are made extra special with a Shakespeare and Company stamp to mark them as souvenirs of the visit. Of course you can opt out of having your books stamped, but I think it is a really nice way to remember where they are from. Needless to say, I picked up a few books, so I thought I would show you them here. 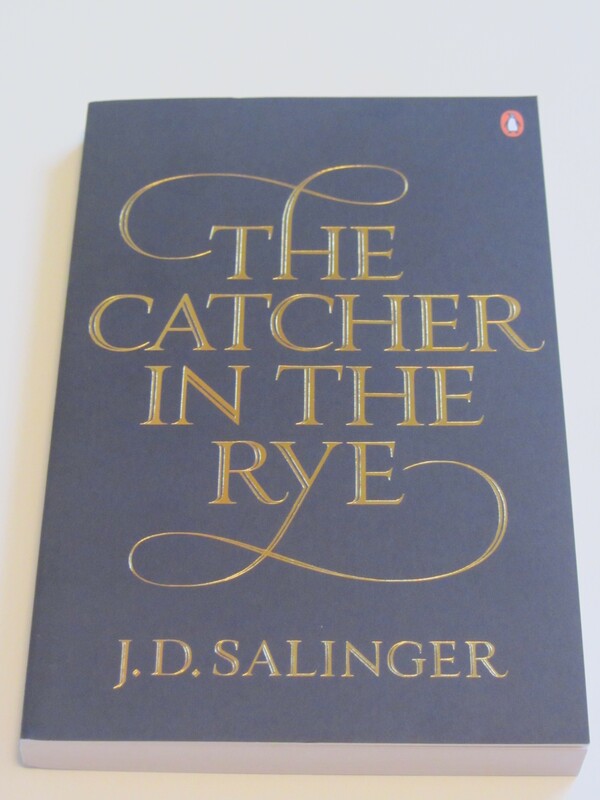 The first book is The Catcher in the Rye by J.D. Salinger. I have a mini collection of copies of this novel, and I had never seen this edition before, so I wanted to add it to my bookshelf. Of course this means I will read it again, but I can never read it too many times. I always find something new in the story. 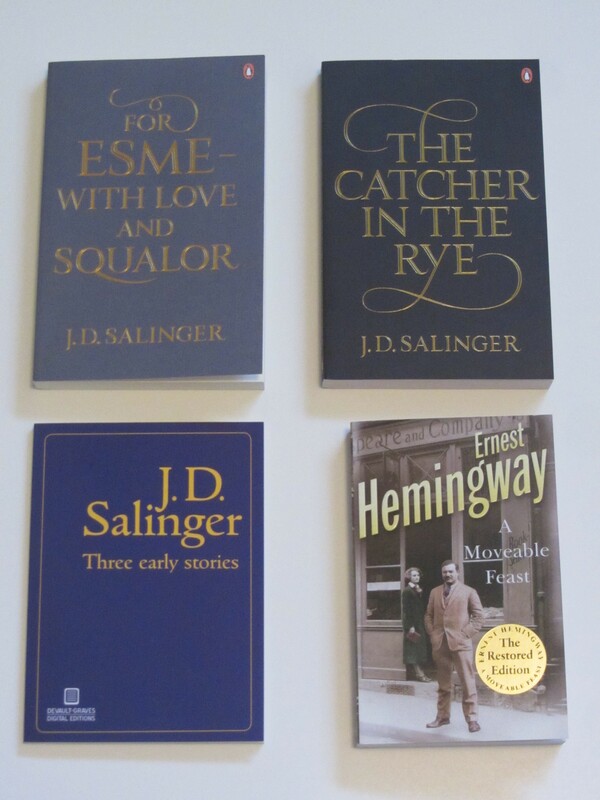 The next book I bought is Three Early Stories, also by Salinger. It contains “The Young Folks,” “Go See Eddie,” and “Once A Week Won’t Kill You.” Compiled into a book in 2014 by the Devault-Graves Agency, these short stories were originally published independently, “Young Folks” in Story magazine in 1940, “Go See Eddie” in University of Kansas City Review in December 1940, and “Once A Week Won’t Kill You” in Story magazine in November-December of 1944. I have never read any of these short stories before, so I am super excited to sit down in my reading nook with my cat and a cup of hot chocolate and delve into them. 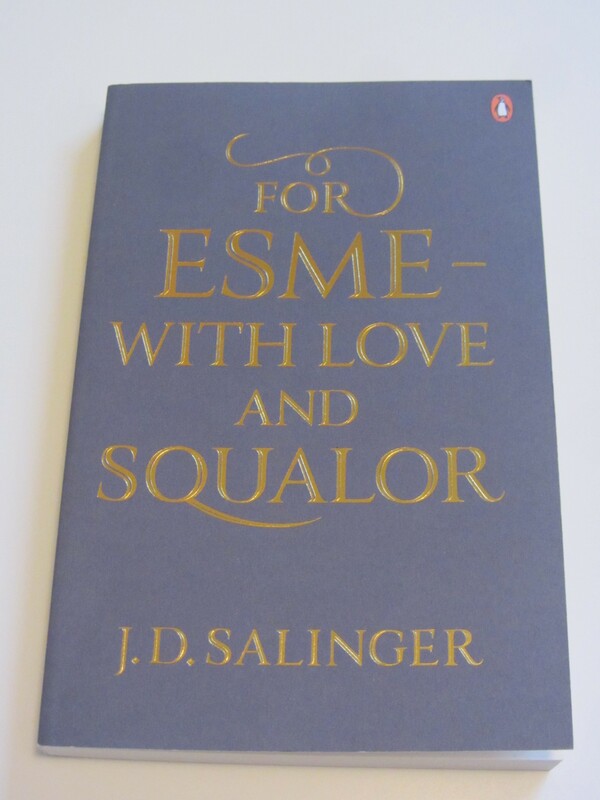 The last Salinger book I picked up is For Esme–With Love and Squalor. 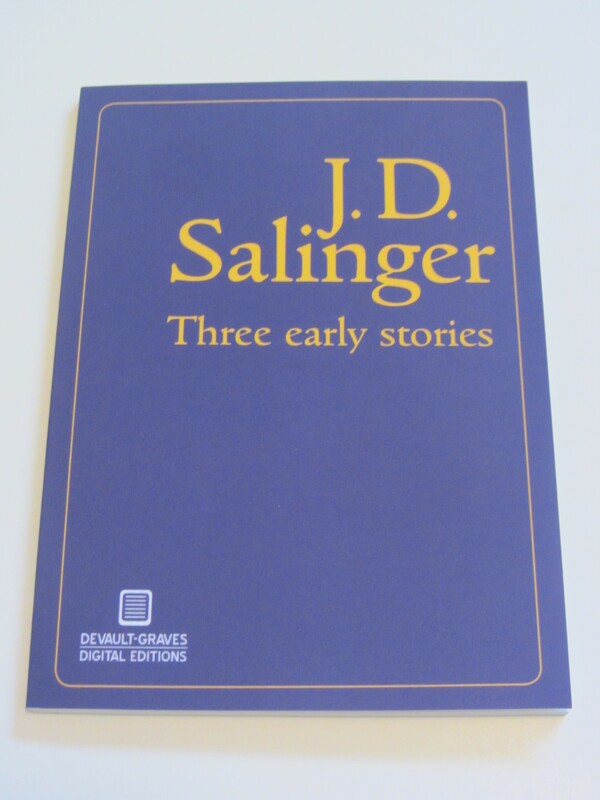 This is a collection of nine of Salinger’s short stories, some of which I have read like “A Perfect Day for Bananafish,” and others I have not. I have a copy of these stories compiled into a book of another title, Nine Stories, but I have yet to even crack the spine. That book came in a collector box set of all of Salinger’s works that I received as a gift from my French 11 teacher before he retired. He was, and still is a remarkable person, and we shared a passion for books. Before French class started, I would get there early and we would talk about what we had been reading and recommend books to one another. With a copy of these short stories that I can now read, I am looking forward to reading the ones I didn’t read from printed versions from my French teacher. In those days there was no money to buy books. Books you borrowed from the rental library of Shakespeare and Company, which was the library and bookstore of Sylvia Beach at 12 Rue de l’Odéon. On a cold windswept street, this was a lovely, warm, cheerful place with a big stove in winter, tables and shelves of books, new books in the window, and photographs on the wall of famous writers both dead and living. The photographs all looked like snapshots and even the dead writers looked as though they had really been alive. I opted for the restored edition, as it includes two sections of photos, one of photos of some of Hemingway’s handwritten manuscript pages, and the other of photos of people, such as Hemingway as a young man, Gertrude Stein, Ezra Pound, and Zelda and F. Scott Fitzgerald. There is even a picture of Hemingway and Sylvia Beach in front of her bookshop Shakespeare and Company. And a picture of the interior of the bookshop, which is similar to how it looks today. 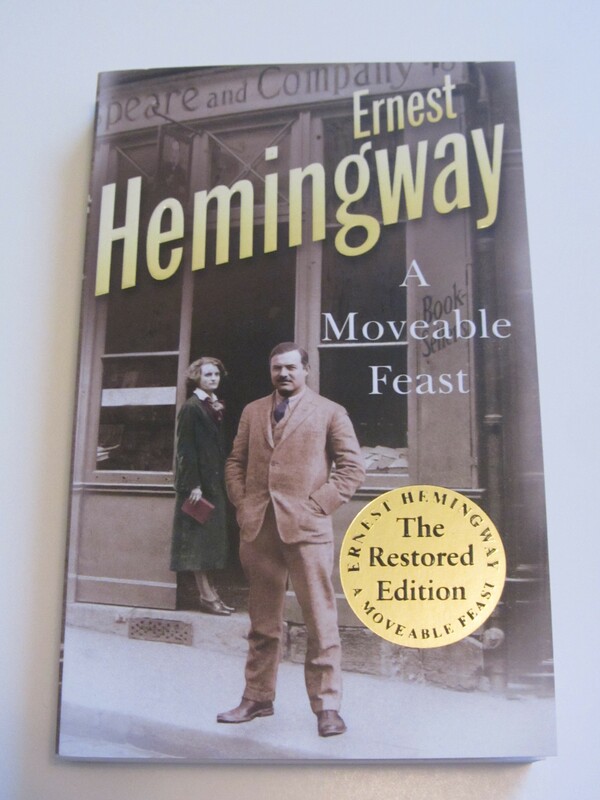 A Moveable Feast, Hemingway’s last novel, was published posthumously in 1964, with changes made to the text prior to publishing. This restored edition, however, is the original manuscript as Hemingway wrote it to be published. This edition also has a personal forward by Hemingway’s only surviving son, Patrick Hemingway. Plus, the introduction to this edition was written by Seán Hemingway, the editor and grandson of the author. So if you’re a Hemingway fan, I would seriously recommend picking up a copy of this restored edition. I would have picked up many more books, but they are deceivingly heavy, and I could only fit so many in my suitcase. The good thing though is that this bookstore has a website, which I recommend you check out, because it shows all the books they have there, new, used, and rare, along with book boxes that can be ordered online. I am seriously considering ordering the classics book box just to see which books are randomly included in it. It’ll be like being back there only I won’t have to worry about weighing my suitcase in the airport. Have you visited this bookstore before? What books did you bring home?